Tania & Umberto are Fun In the Sun Weddings’ newest newlyweds! The bride and groom live in Canada, but she is Middle Eastern and he is Italian, and they got married on the beach in Mexico. Ah, it is a small world after all! Tania and Umberto’s story began as so many of the greatest Canadian romances have: at Tim Hortons! The first year that they dated, Tania was terrified to tell her family because Umberto was from a different culture. She worried they would be angry or wouldn’t accept him. But he worth it, so she mustered up the courage to come clean, and her worries ended up being silly because they loved Umberto! They have been supportive of them in everything ever since. The groom, in true patriotic style, proposed to his bride on Canada Day, at Niagra Falls. It just doesn’t get much more Canadian than that folks! 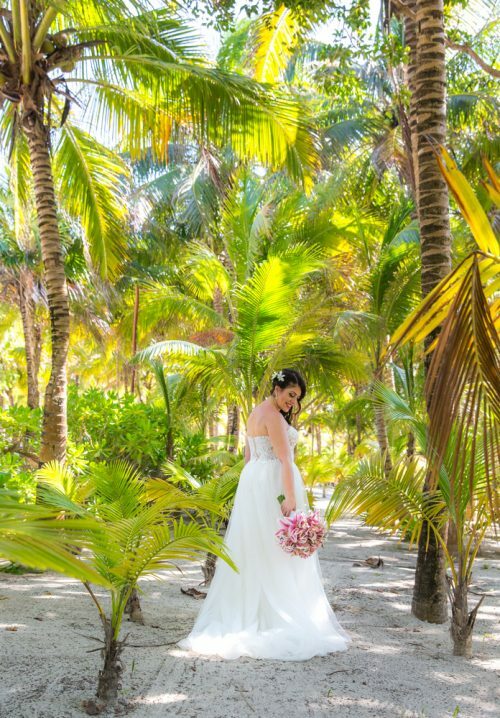 After Tania was in her best friend’s Riviera Maya wedding, she and Umberto fell in love with the beach and the area. 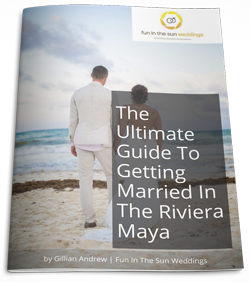 They decided that a destination wedding at the Grand Palladium Riviera Maya was a perfect fit for them. 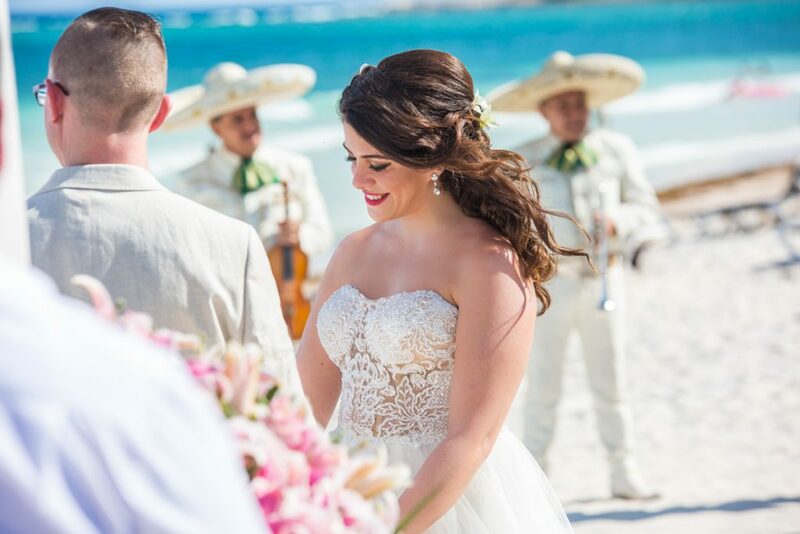 Tania envisioned a simple wedding with a touch of Mexico, and so she chose flowers with pops of tropical colors, a mariachi band to play at their ceremony, and the perfect beach wedding dress which would allow her to comfortably dance the night away. Their wedding day exceeded everyone’s expectations, and their wedding guests are still talking about how much fun they had. Tania couldn’t pick a favorite moment because the whole day from morning to night celebrating her closest friends and family was absolutely perfect. 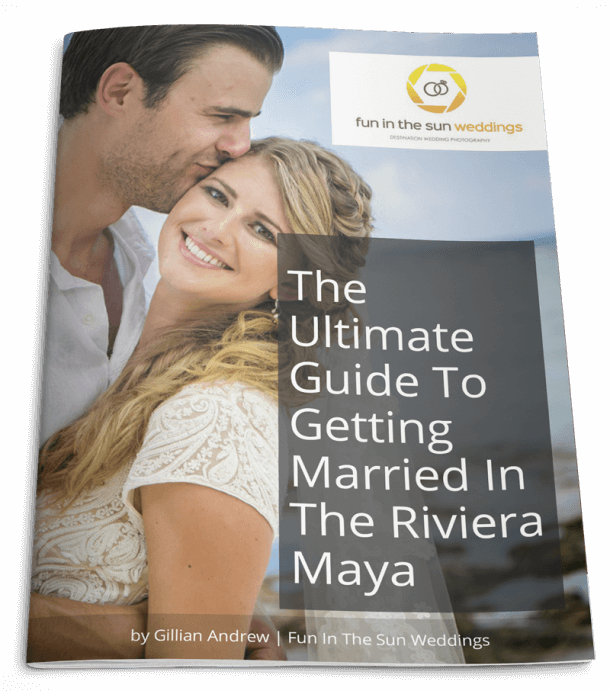 What is the bride’s advice for the Bride-To-Be planning a destination wedding in Riviera Maya? Don’t stress too much because everything will turn out they way you want it. Be the beautiful bride you are and enjoy every moment. Tania & Umberto, it has been such a pleasure working with fellow Canucks, and we wish you every happiness in this next chapter of your lives together. Congratulations! Want to know more about Grand Palladium weddings? Read unbiased reviews on Tripadvisor here. On the wedding day Mark was fantastic he made everyone feel relaxed he was professional and fun at the same time, he listened to exactly what we wanted! And pictures tuned out just beautiful and amazing! i recommend Fun the sun weddings to all who are planning a destination wedding great service and amazing people behind it.